Congratulations to Elizabeth Meyer on winning our twenty fifth High Five Giveaway and thank you to all who entered! 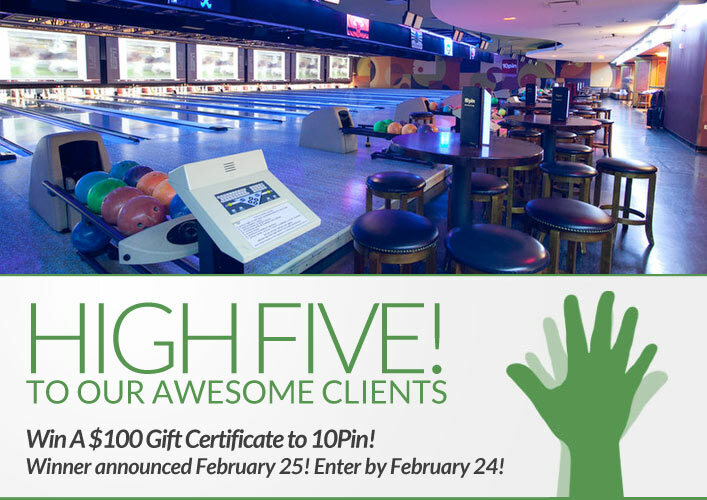 Our next High Five Giveaway is for a $100 gift certificate to 10Pin Bowling Lounge. What is it called when you have an oily scalp and dry, frizzy strands? Now, just add a comment to this post with the right answer to be eligible to win! The winner will be announced on Monday, February 25. Entries must be received by midnight on Sunday, February 24. Good luck! Combination hair. I’ve referred friends to XEX, and they’ve been as happy as I have been with the great hair/color results. Great salon!